One year, my sister found a holiday cocktail recipe in the in-flight magazine on her way here for Christmas and it was great. We've had trouble locating that recipe ever since - and we seem to end up trying to make some crazy Christmas cocktail with whatever is in the liquor cabinet ever year. 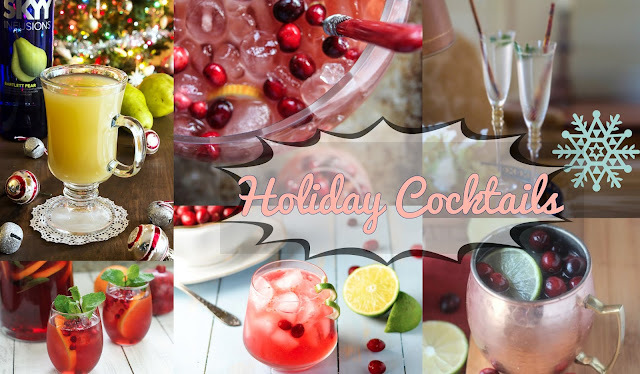 So I'm trying to be a little more prepared this year - and hunting down some holiday cocktails that sound like they would be worth trying. All of these sound pretty delicious. Stay tuned on social media (Instagram, Snapchat (emartini68), Twitter or Facebook) and see which one(s) we try.